Regulatory enforcement activity and risk mitigation tactics, including trends in cyber insurance coverage. Smith Anderson provides its clients with pragmatic and strategic legal advice on how to protect, manage and maximize their use of data, innovations and other knowledge assets. To further those efforts, Smith Anderson launched www.SafeguardingBusiness.com as an extension of SmithLaw.com, but with educational content that is more deeply focused on safeguarding business’ innovations and confidential information, including DATA BREACH STRATEGIES with recommended guidelines on how a business might prepare for and respond to a data breach. Lawyers in our Data Use, Privacy and Security Practice use a multi-disciplinary approach to provide tailored and strategic data counsel for businesses in all industries. Our expertise merges regulatory compliance, technology law and licensing, commercial contracting and dispute management, yielding our unique ability to advise clients on all aspects of data management and commercialization. 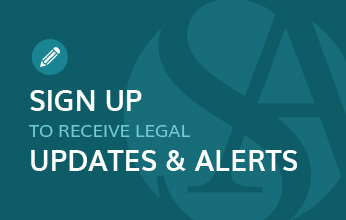 For more information, visit www.SmithLaw.com/Privacy.